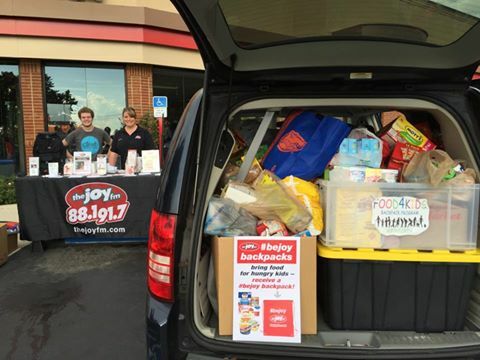 Generous community & van is overflowing with food! 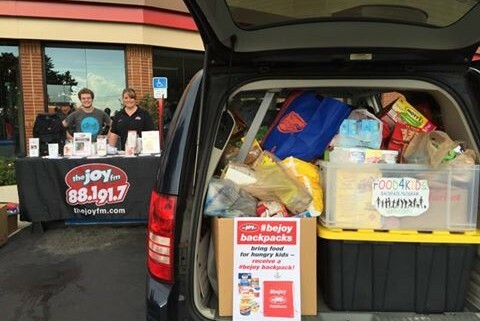 Huge thanks to Joy FM‬ and Chick-fil-A for hlping to raise 900.2 pounds of food, $110 in gift cards & $80 cash to buy more food all in one day! Thank you!